One of the great thing about selling at Teachers Pay Teachers is that you can make an automatic bundle. This means once you update your individual product (the product which is included in the bundle), the bundle is also automatic updated. In this tutorial I’ll show how to make preview image/ cover for bundle. The square cover looks better for Teachers Pay Teachers. So, I’ll do my preview image in square. Make a new file. I use 1000 x 1000 pixels at 72 dpi, RGB color. If you prefer rectangular horizontal cover, is also okey. I’ll make a bundle from 4 individual poster products (each product already has a cover in square size of 1000 x 1000 pixels). So, I’ll combine them all into one page for the bundle cover. I open one of the poster cover. After that, I resize the poster cover. Again, using the shortcut ctrl T (transform), and then I set 50% for the width and also 50% for the height (see red arrows). Now, I have the 1st poster in half size. Drag along the image into the top left. Do the same thing for the 2nd, 3rd, & 4th poster covers. Place them into the blank space. After that, I’ll add text. 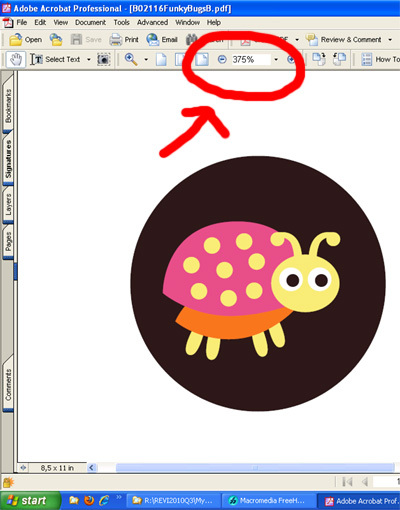 Clik the T icon from left tool bar. Choose the font/size/color from the top menu (see red arrows). Make sure your text layer is above other layers (see yellow arrow). Then, I’ll add some effects to the text. From the pop up box, you can make some adjustments. After that, I’ll ad drop shadow to the text. And that’s all. Bundle cover is ready now. In this photoshop tutorial, I’ll show you how to add watermark text in photoshop. This watermark effect known for protecting your works. So people won’t be able to use your preview image for something else (since there’s a watermark text on it). This is useful for sellers who have online shops and put cover/ preview image in big size, and somehow your works look big enough in that cover/ preview image. Open your cover/ preview image in photoshop. 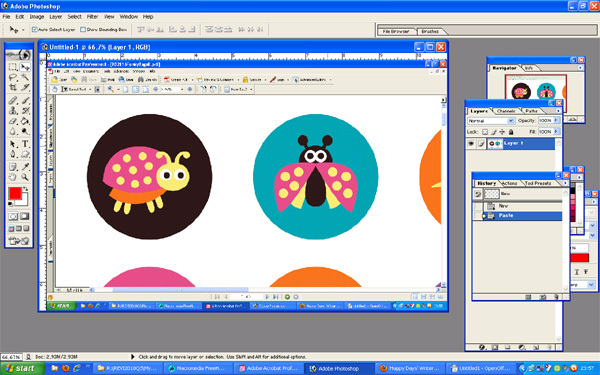 I’m using cute bunny poster preview image for this tutorial. Now, you will add text. From the left toolbar, click the “T” icon (see blue) arrow. Shortcut is T, simple click T on your keyboard. Once you’ve clicked the “T” icon, you’ll see some option on the top second line (see red arrows). From there, you can choose font, size, color, alignment, etc. Type your text, and position it in the middle. I use black for the text color. After that, make sure you’re on the text layer (see yellow arrow). So make sure that your text is above the layer of your work. You can see the opacity slider there. I set mine into 35%. From the drop down menu (from opacity), slide it into 35%. You can see that the text become gray, however, you can still see the bunny ears and wood image. Well, I’ve done with the watermark text. It’s easy actually. Now you can save it into a new file. From top menu choose File –> Save as. I saved mine as Jpeg. If you’re selling your teaching resources (or other products) at Teachers Pay Teachers, you probably realize that square cover/ preview image looks better than rectangular listing cover. Square cover is also look nice for Etsy. In this tutorial, I’ll show you how to cut square area out of rectangular size cover preview image. I’ll do this in photoshop. For this tutorial, I’m using rectangular cover image of a bunny poster with wood background. The file is in jpg, 1500 x 1000 pixels at 72 dpi. I’m gonna cut (the poster area) into square size 1500×1500 pixels. I open my cover/ preview image in photoshop. Click the rectangular marquee tool (shortcut is M) from the left toolbar. You’ll see some options from the top line (the one I point with red arrow). The default is “normal”. From the drop down menu, change it into “Fixed size” and then enter width and height. I fill it w=1000 an h=1000. And then click your work are. 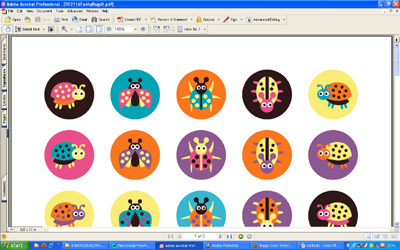 You are now see blinking dots (square) around your work area. You can move the square box as necessary. Once you’re happy, from top menu Edit–>copy (shortcut: ctrl c), make a new document, from top menu File–>new (ctrl n) pop up box will open, check again the size, then click ok. And then paste, from top menu Edit –>paste (ctrl v). Now, I have my preview image in square. You can save this new look into a new file. From top menu, File–> save as. I choose to save as jpeg file. And it’s done. Now I have a square cover/ preview image that I can happily use for Teachers Pay Teachers listing cover. PS: Don’t forget to set back the “Rectangular Marquee Tool (M)”, you can click from the left toolbar) back to normal, instead of “fixed size”, so you won’t be confused when you open your photoshop (for other projects) next time. In this Photoshop tutorial, I’ll teach you how to make cover/ preview image for your poster (to look more appealing). If you’re selling your wall art/ posters at online marketplaces such as Teachers Pay Teachers and Etsy, then this tutorial might help you to have an attractive preview image, which will lead visitors to pin/ share/ tweet your listing, that might bring sales. The poster is in US Letter size at 300 dpi. Open your background and poster in photoshop. Go to your poster (the one opened in photoshop). From the top menu, choose Select–> all area, the shortcut is Ctrl A. After that, choose Edit–>Copy (shortcut is ctrl c). Go to your background (the one opened in photoshop). Choose Edit –> Paste (shortcut is ctrl v). You will see your poster there, however very big, my poster shows only the top of bunny ears. Now, I’m gonna make the bunny poster into smaller size, so it will fit into the area of the wood background. Press Ctrl T (at the same time), this is the shortcut for “transform”. You’ll see there’s a box around the poster. Now see the second line menu (below the top menu), those I spot with red arrows. I’ll go with percentage scaling 25% for the width and 25% for the height. Simple type 25% on each box. Then press enter. You can see that your poster in now smaller. Point your cursor above the poster area (that area with the gray box), click and drag it into the wood area.Then, press enter. Pay attention to the layer (on the right side), my bunny poster is above my wood background. Stay there, on your poster layer. Now, I’ll add dimension effect to the poster by adding drop shadow. Make sure you’re on the poster layer. From the top menu, choose Layer–> Layer style –> Drop shadow. You can adjust many things from the pop up box. I’ll go with just the basic. You can see the drop shadow appears on my poster. Since I have an empty space on the left, I’ll add text there, something to explain about the poster. From the left toolbar, choose “T”, or you can use shortcut t, simply click t in your keyboard. If you find any problem, you can always go back to the move tool, the one with arrow icon (top on the left toolbar), shortcut is v.
Okey, now I’m in Horizontal Type Tool (after I use shortcut T). This allows me to type text, modify text such as choosing the font, change the size, color, alignment, etc. See the top menu (the second line menu actually, the one I point with red arrows). After done with the modification setting (such as choosing font, color, font size, etc), I type the text. Do something wrong? You can go back to the move tool (on top from the left toolbar, with arrow icon, click it), and do shortcut ctrl t again. Once you’re happy with your text, click the move tool, and you’re done. Now, you can save your work. You can save your photoshop workfile as psd. As for your preview image, the one you will use for preview image/cover for your product listing (for online marketplace), you can save it as jpg format. Click save, after that, another small pop up box will appear, asking for quality. For web/ online preview, I usually go with high or medium, so the file size won’t be too big. If you are a teacher author and selling your teaching resources at Teachers Pay Teachers (or other marketplace), you might want to protect your PDF file so others won’t be able to steal your work. 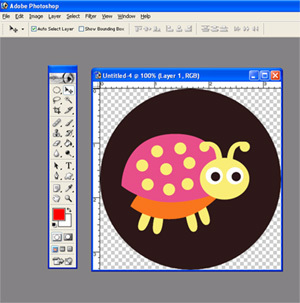 This is to protect your work, and also to protect clip art graphics and fonts you use in your work. In in this tutorial I will show you how to turn your PDF file into a password protected PDF file. I’m using Adobe Acrobat Professional 6.0. This is actually an old version, however (if you’re using newer version) the steps are basically same. 2. Pay attention to the “permission” box. Check mark in the box saying “Use a password to restrict…. and so on”. Then, enter your password. After done, save your file. Open your PDF file in Adobe Acrobat Pro. 1. Choose “Document properties” from the File menu on the top of the page. 2. It goes to this box. Choose “SECURITY” (on the bottom of the left list), and then choose “Password Security”. 3. You will this box. Fill in the password and so on. Just like I explained earlier. After that, click Ok.
4. You will see confirmation box. It asks you to enter your password one more time. Save your file once done. Hope this quick tutorial helps you. 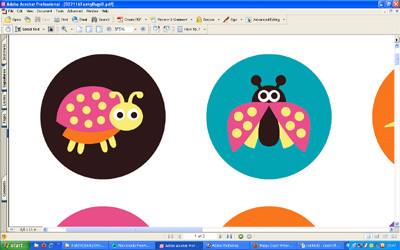 If you’re making teaching resources for early grades, you probably need clip art graphics/ images for your worksheets. Thanks for visiting my blog. Till next time! A box will pop up, with the following..
Now, you will need to change the resolution into 300. 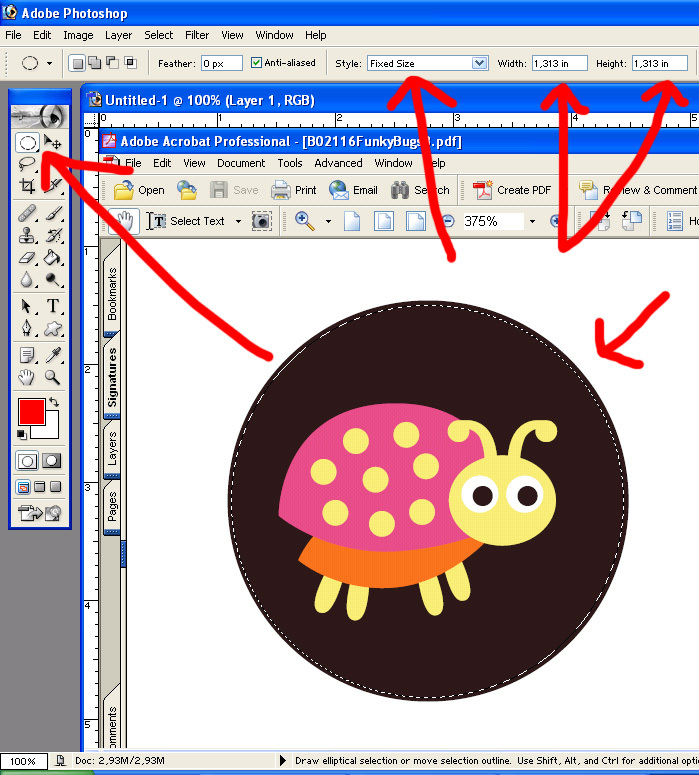 Now, you will have your circle (from adobe reader) on photoshop. a bow will appear, with this..
from “file” menu (on top), choose “save as”, and from the dropdown menu, you can use the type of file you want.